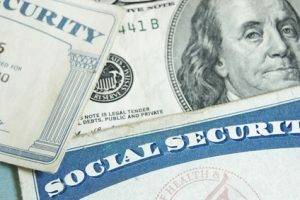 Even if the need for Social Security Disability exists, the process can be daunting, if not outright intimidating. Our job is to help our clients cut through the red tape and secure the benefits they deserve. At The Law Offices of Nicholas Del Pizzo, we help clients starting with the application process. One wrong answer can result in a rejection of your application and force you to start over again. We possess the knowledge and insight to help you answer the questions accurately and properly. Do not be frightened by the Social Security Disability application process. We will be at your side from the time you apply to the moment you receive that first check. Do not be surprised if after all that preparation, your application is initially turned down. That is a challenging part of the process and only forces us to work harder. The procedural matters may be complex and frustrating, but we are well aware of how an application is processed and what the reason was for rejection. We will help you file an appeal and continue our advocacy for you and your rights to Social Security Disability. Some people are hesitant to use an attorney to apply for SSDI or appeal a decision. They do not want to go through the process, only to be rejected and put out that money. Please know that at our office, if you do not recover, you do not pay. Let's get started today! For more information or to schedule an appointment about a denied claim of Social Security Disability, fill out the form below.